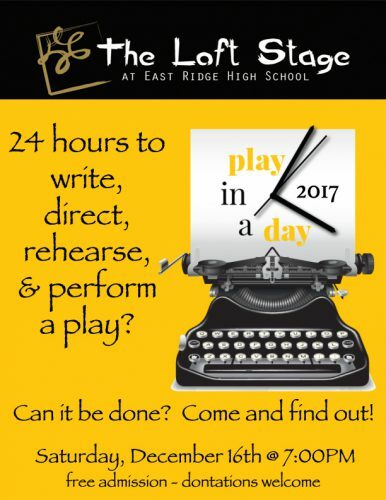 Join LoftPAC, our student drama club, for our very first Play-in-a-Day Festival this Saturday, December 16th at 7:00PM in the Loft Stage! Students will have 24 hours to write, direct, rehearse, and perform a series of one act plays. Can it be done? Come and find out! Admission is free will donation.